Low-carb, high-fat (LCHF) diets not only promote rapid weight loss, but prevent and reverse heart disease and type 2 diabetes. While health experts have long advocated a low-fat diet for weight loss, a growing number of respected medical experts now agree that consuming plenty of high-quality saturated fats such as coconut oil, salmon and grass-fed beef prevents — and even reverses — heart disease, obesity, diabetes and Alzheimer’s. Obesity expert Dr. Eric Westman, author of the bestsellers A New Atkins for a New You and A Low Carb Ketogenic Diet Manual, is pleased that mainstream media is finally debunking the myth that eating fat makes you fat. 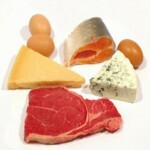 To the contrary, said Dr. Westman: Eating fat makes you skinny. Over the years, Westman has helped thousands of obese people lose dramatic amounts of weight and reverse type 2 diabetes by following low-carb, high-fat diets. The cause of obesity and virtually all degenerative diseases is not fat, but sugar and simple carbs, said Dr. Westman. By eliminating sugar and simple carbs and replacing them with healthy fats, you not only lose weight and reverse diabetes, but you kill the cravings for those addictive foods altogether. Neurologist Dr. David Perlmutter agrees. In an interview with me last month, Perlmutter explained that a high-carb diet fuels blood-sugar surges, which cause inflammation, which in turn has a catastrophic impact on brain cells and the entire body. In his book Grain Brain, Dr. Perlmutter posits that a high-carb diet is responsible for the nationwide epidemics of Alzheimer’s disease, diabetes, obesity, heart disease and ADHD.